The epic novel of man and nature that won its author the Nobel Prize in Literature-the first new English translation since the novel's original publication ninety years ago When it was first published in 1917, Growth of the Soil was immediately recognized as a masterpiece. Ninety years later it remains a transporting literary experience. 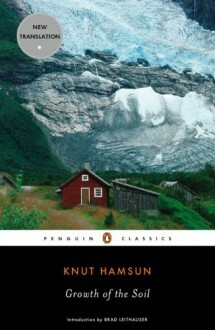 In the story of Isak, who leaves his village to clear a homestead and raise a family amid the untilled tracts of the Norwegian back country, Knut Hamsun evokes the elemental bond between humans and the land. Newly translated by the acclaimed Hamsun scholar Sverre Lyngstad, Hamsun's novel is a work of preternatural calm, stern beauty, and biblical power-and the crowning achievement of one of the greatest writers of the twentieth century.